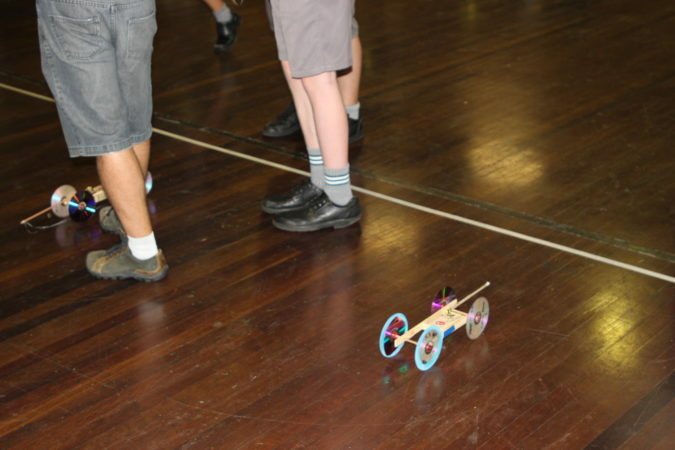 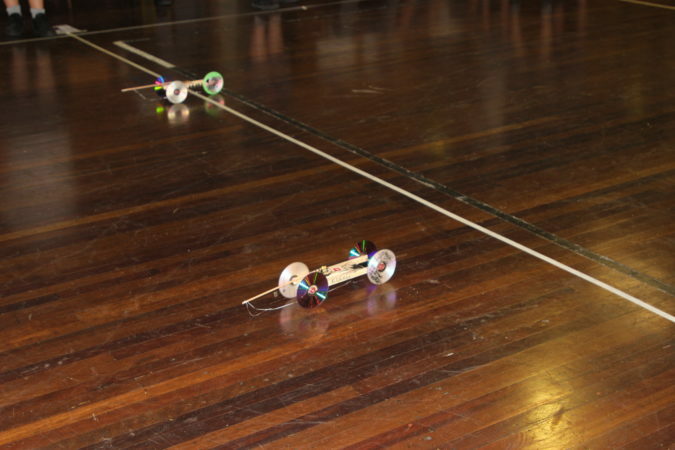 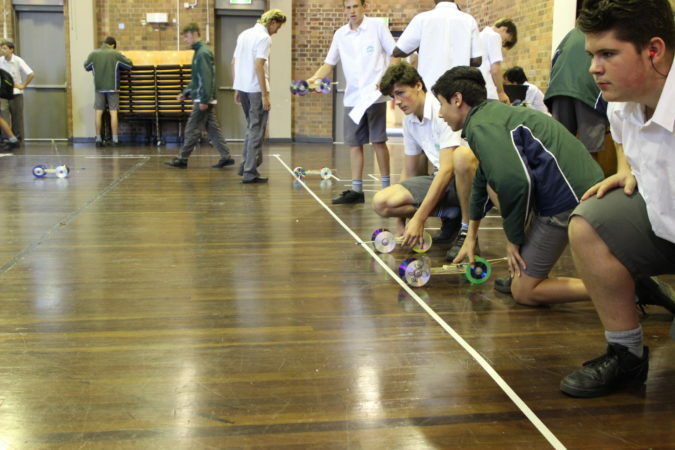 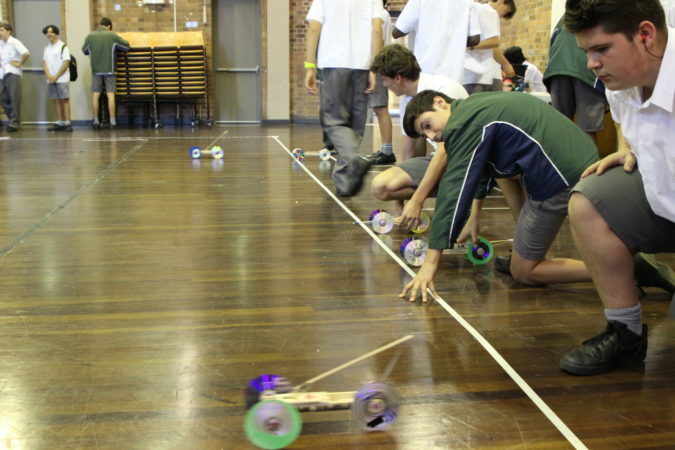 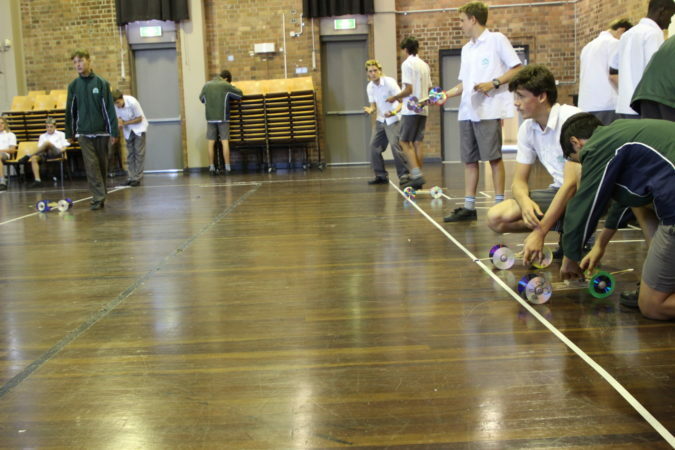 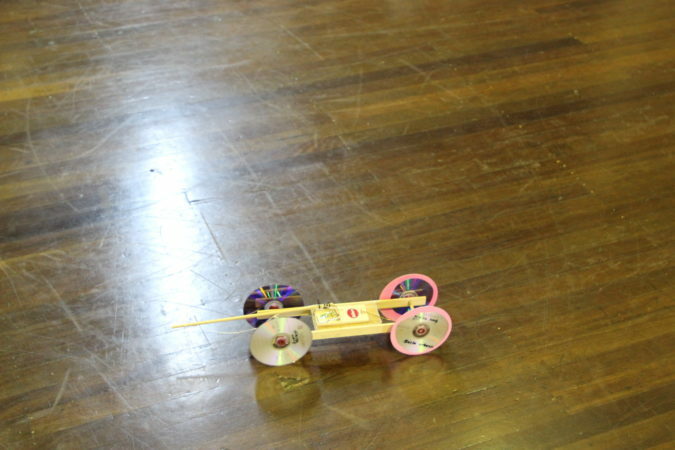 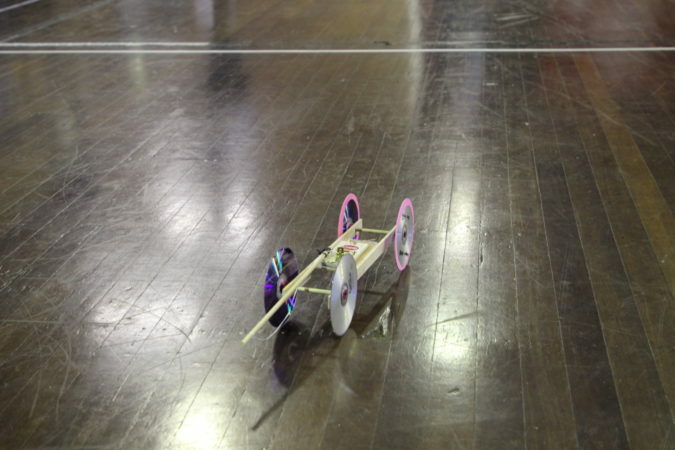 Our Year 10 Engineering class have spent the last few months designing and producing race vehicles powered by a simple mouse trap. 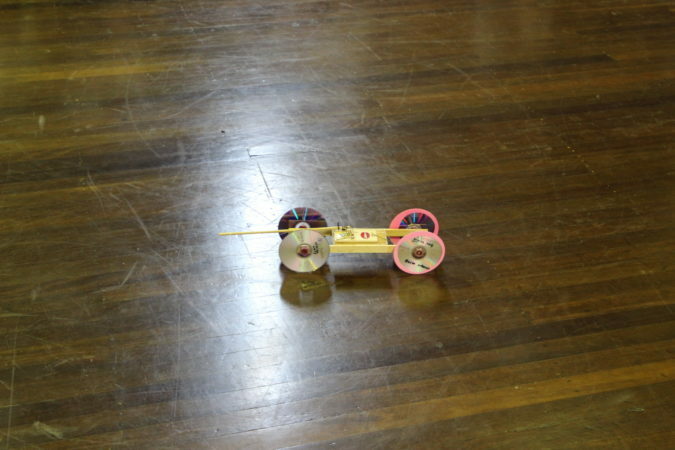 The vehicles also utilise DVD's as wheels. 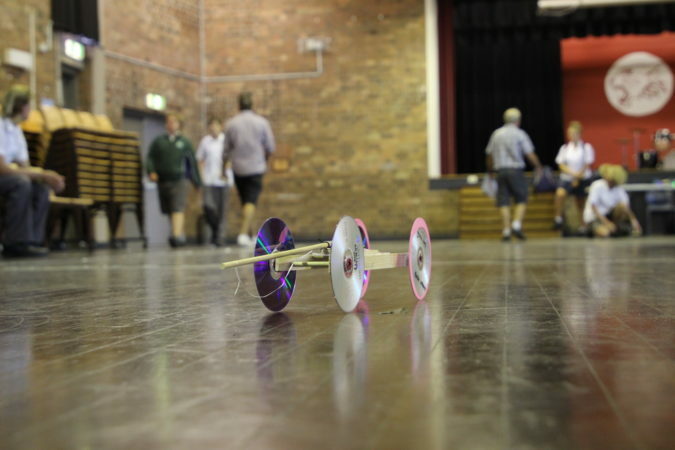 Our research and development included study of efficiency, mechanical advantage and velocity ratios along with the development of the practical skills needed to actually build the vehicles using traditional methods as well as CAD and 3-D printing technologies. 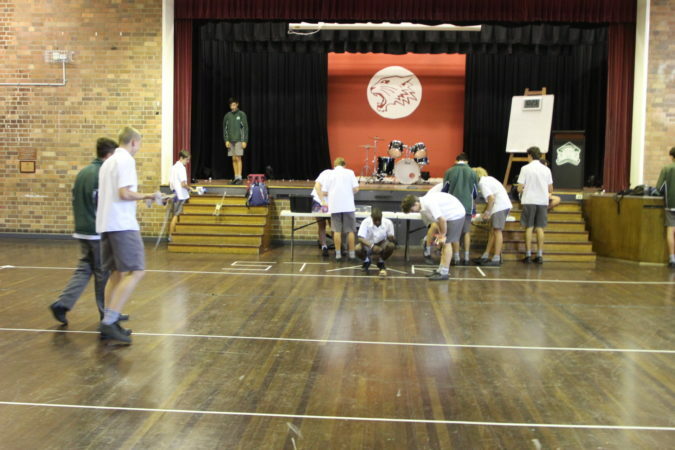 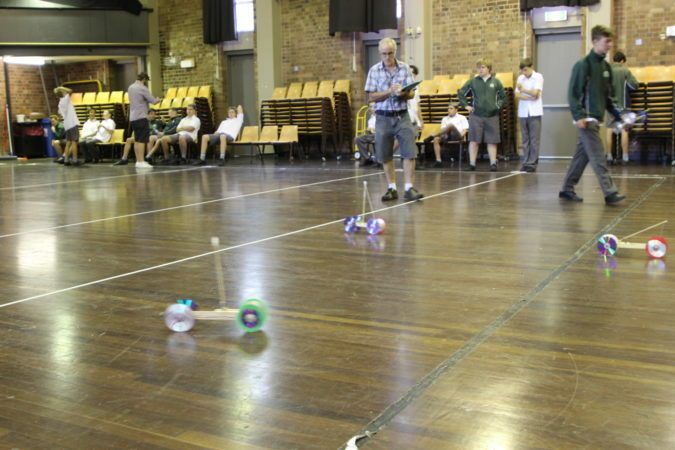 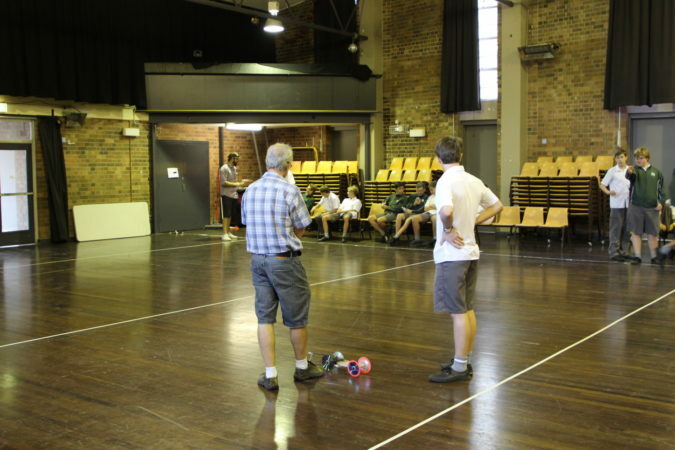 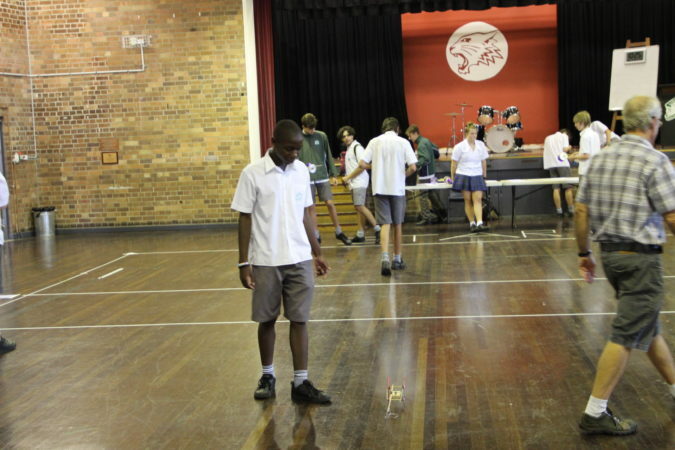 The final test was a race of the vehicles in our hall where the cars were evaluated according to how far they could travel. 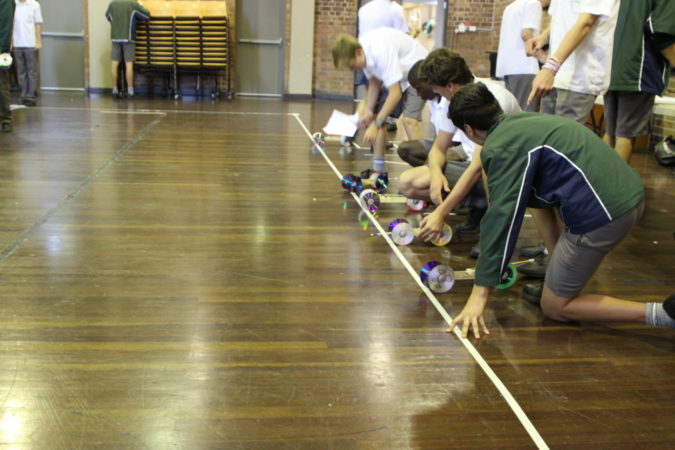 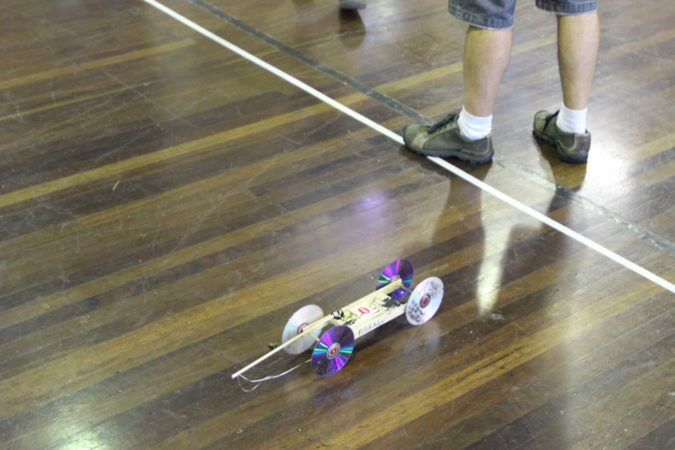 The best car reached a distance of 16.8 meters, congratulations Jett Brown!